A CHRISTMAS CAROL: English & French THIS EDITION: The dual-language text has been arranged into sub-paragraphs and paragraphs, for quick and easy cross-referencing. The story can be read in parallel text format (side by side), but can also be read only in English, or only in French. The French translation has been modernised and amended to suit this dual language project. The revised English text is in part a translation from French. 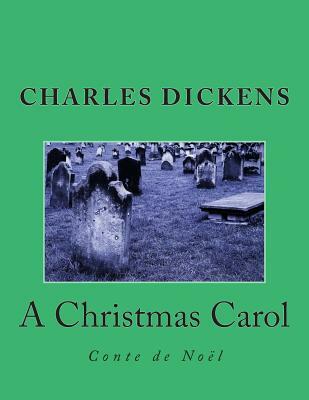 Essentially, A Christmas Carol has been rewritten in contemporary English from the French translation. The emphasis is on attaining a high correlation between each set of text fragments. The story was originally written in English. BRIEF SYNOPSIS: A Christmas Carol is a novel by English author Charles Dickens, and was first published in 1843. The story follows the transformation of Ebenezer Scrooge from a bitter old bean counter into a playful and generous young spirit, resulting from his encounters and journeys with Christmas ghosts. AUTHOR: Charles Dickens (February 1812 - June 1870) was, and still is, a famous English writer and social commentator (and critic). (A Dual-Language Book Project) 2Language Books.